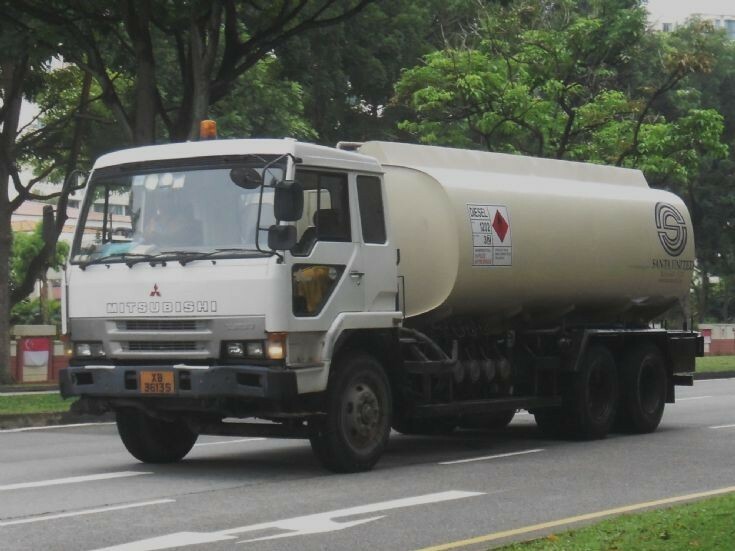 A Mitsubishi Fuso Great FU416 series fuel oil tanker truck from Santa Logistics Pte Ltd is spotted here passing by at Yishun New Town in Singapore. It is heading towards a nearby construction site to supply diesel fuel for the machineries used there such as generator set etc. Photo taken in Aug 2010.